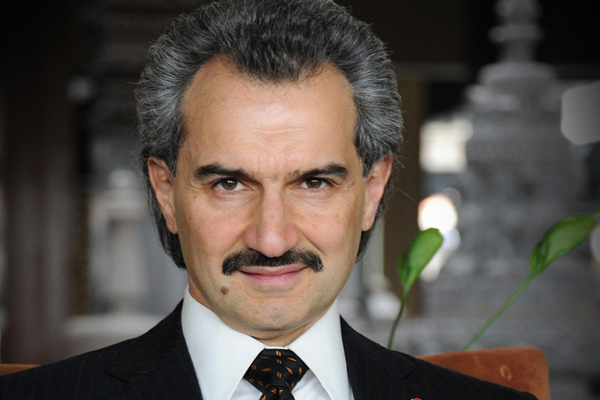 by tradearabia.com -- Saudi billionaire Prince Alwaleed Bin Talal has taken a 2.3 per cent stake in Snap, buying $250 million (£194m) worth of shares in the social media company, a BBC report said. Prince Alwaleed called Snapchat "one of the most innovative social media platforms in the world. We believe it has only just begun to scratch the surface of its true potential and we are blessed to be part of it," he said. The investment came even as the company's number of daily active users fell 2% in the most recent quarter to 188 million, from 191 million at the end of March. The firm also faces competition for digital ads from giants like Facebook, BBC said. Despite the fall in the number of users, the firm said revenues were up and its losses had declined in its second quarter. The firm earned revenue of $262 million in the quarter, up 44% from the same period in 2017. Losses were $353 million, down 20% year-on-year. The number of daily active users was about 8% higher than in the same period in 2017.